At Harris County Home Inspections our number one priority is providing our customers with the information and knowledge needed to make an informed decision on their purchase. Buying a new home may be the biggest investment of your lifetime. Although the process is exciting it can also become overwhelming. While the home you have selected may appear to be just what you are looking for, how can you be sure there are no potentially serious defects that can make your investment in your future a costly one? Having your new home professionally inspected by HCHI as early as possible in the buying process can save you thousands of dollars on issues you may be able to get the seller or builder to correct. 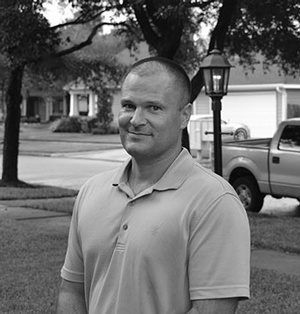 Greg Murray is the principal inspector for Harris County Home Inspections. Greg has over 12 years of construction and project management experience in the home building industry. 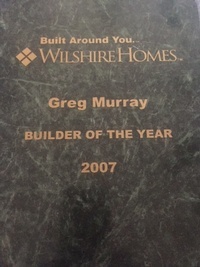 Greg was named builder of the year for Wilshire Homes in Houston 2007. From site prep through closing Greg has the experience and knowledge you are looking for in a home inspector. Whether you're buying a new property and want to be sure of what you're purchasing or selling a property Licensed Home Inspector at Harris County Home Inspections is ready to help! Our Licensed Home Inspector offer home inspection services across Cypress, Houston, Katy, Sugar Land, Spring, and The Woodlands, Texas. Call (713) 598-9653 to schedule an appointment with our Licensed Home Inspector across the Greater Houston Area, Texas. Contact Harris County Home Inspections for Home Inspection Services across the Greater Houston Area, Texas.